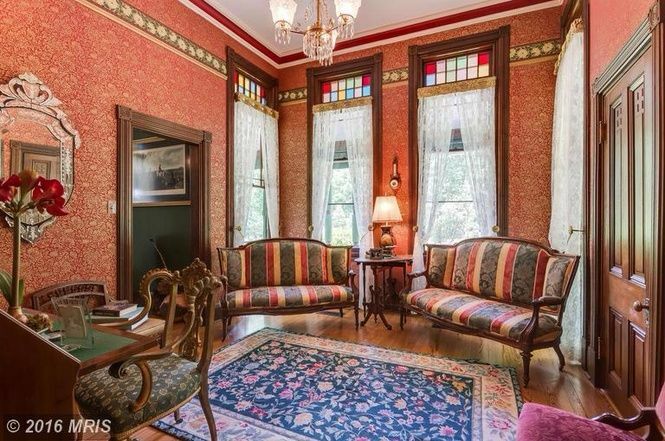 Known as Mount Pleasant, this three-story, Queen Anne-style home was built in 1886 by a local business person named John Crabbe. After enduring almost three decades of neglect between the years of 1966-1994, the home was purchased by its current owners, who have gone to great lengths to restore the home to its original splendor. 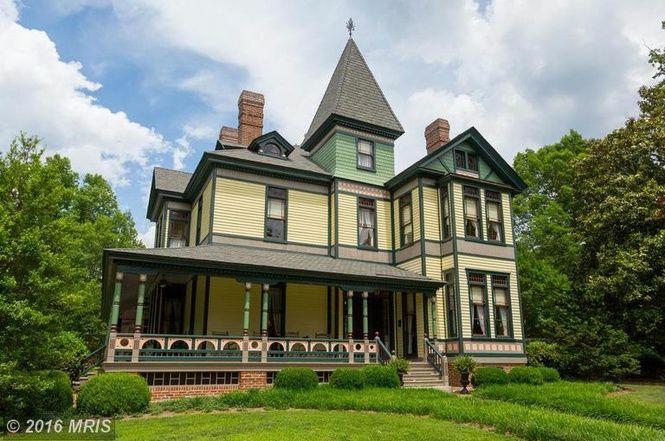 The classic, multi-gabled Victorian home features a square center tower and roof edges trimmed in dentil molding. The cheerful cedar clapboard siding of the home is painted yellow and green. Three tall brick chimneys rise from the shingled roof, hinting at the cozy fireplaces found inside the home. 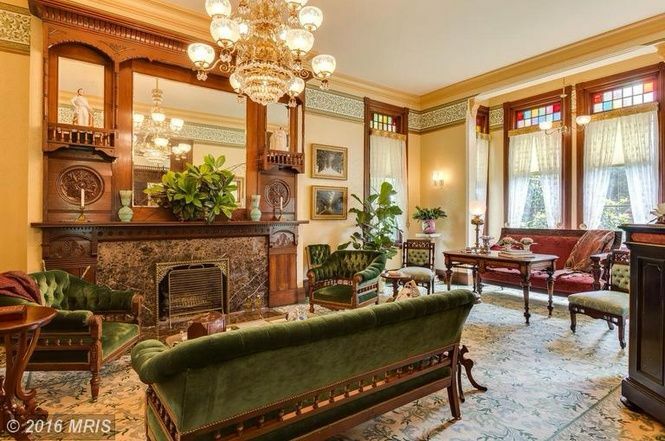 In the living room, highlights include an elaborate walnut fireplace mantel, a gorgeous chandelier, and stained glass window panes. The room has been filled with museum-quality furniture pieces, making it look like something straight out of the pages of a history book! The kitchen isn't a protagonist in this Victorian beauty, but it's still spacious, functional and well designed. 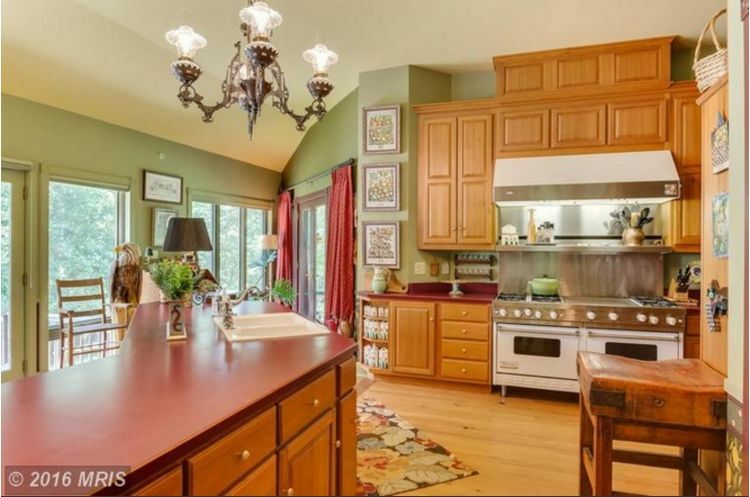 The double oven dominates the room, that also offers space for sitting and eating. 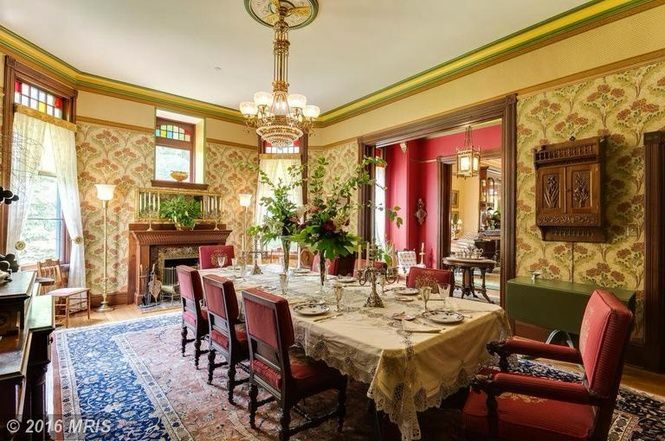 In addition to even more pieces of high-quality antique furniture, the dining room features another chandelier and another walnut fireplace mantel. This fireplace has a window above it - a complicated design that requires the chimney to be rerouted around the window. This elegant sitting room provides a welcoming retreat from the rest of the house. 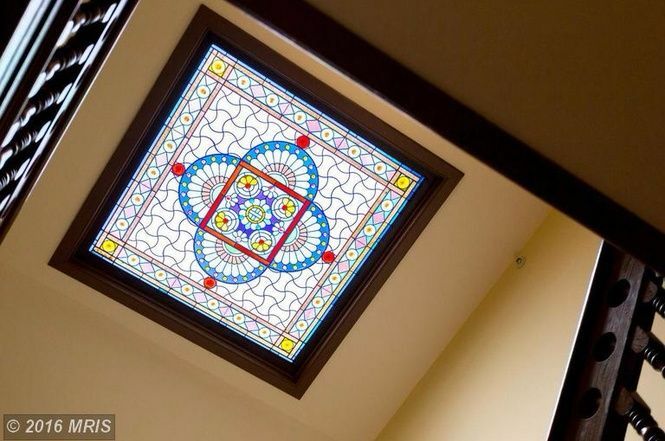 Adding to the beauty of the stained glass found topping the windows throughout the rest of the home, this stained glass skylight is found at the top of the stairs. 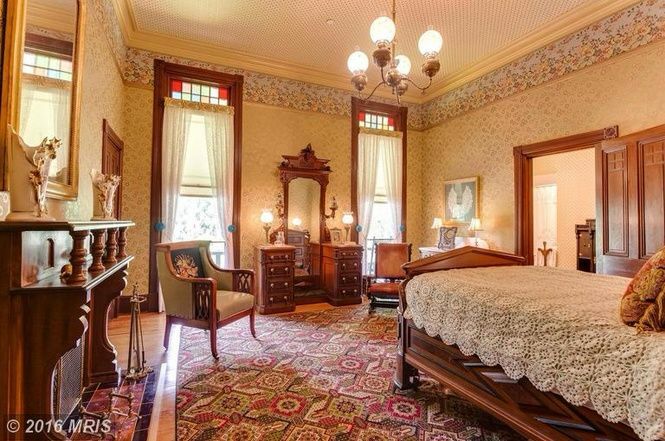 Here we have one of the home's seven elegant bedrooms. Large windows fill the room with light, and an elegant fireplace keeps the room nice and cozy. 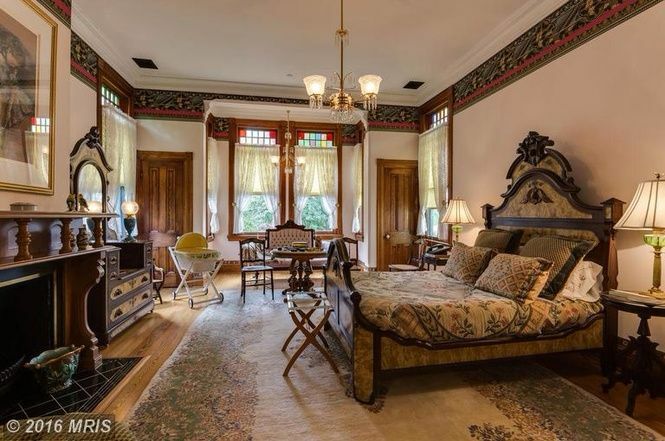 In keeping with the rest of the house, the room is furnished with beautiful antiques. 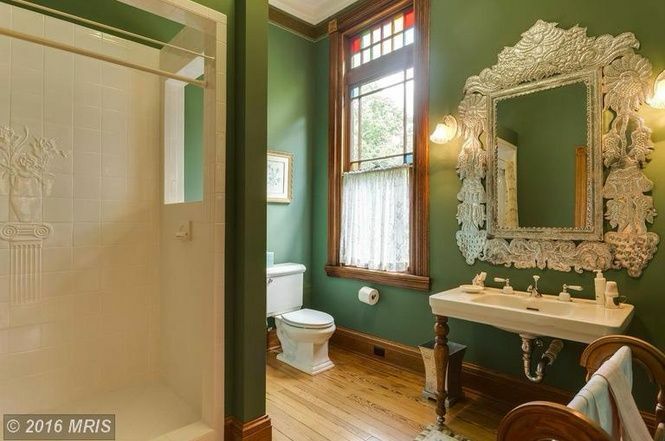 This lovely green bathroom features the same style of stained glass window seen throughout the rest of the home - not the first thing you'd expect to see next to the toilet! Note the beautiful detailing in the shower tiles and on the mirror frame. 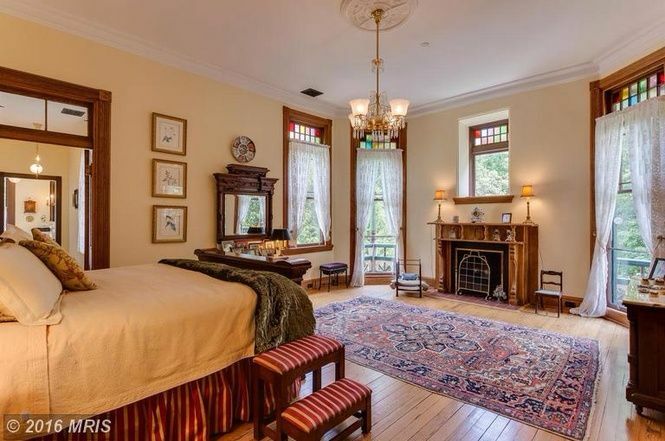 This bedroom is a bit smaller than some of the others, but no less beautiful or elegant. In addition to a window over the fireplace as seen in the dining room, this bedroom features gorgeous floor to ceiling windows on either side of the fireplace. Each window opens onto a tiny, triangular balcony outside. 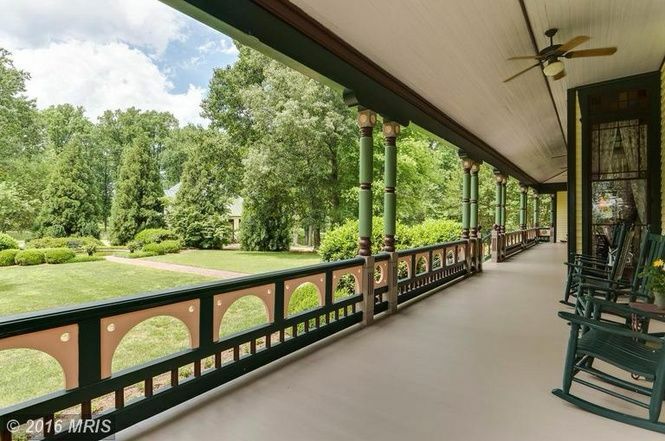 Outside, a vast wraparound porch with gorgeous turned posts and sawn brackets surrounds the entire house. It's the perfect place to sit down, relax, and admire the natural beauty of the 37-acre lot that the home is situated on! Were you as amazed by this gorgeous mansion as we were? Let us know in the comments, and be sure to share this article if you loved it!